On this site is the grave on the unknown prospector, a reminder of the great sacrifices made by our ancestors who explored and settled the western frontier. And especially to the memory of each and all of the pioneers of Mono County, whose resting place if known only to God. It seems to me, though, that years ago the memorial at the location was the "Grave of the Unknown Fisherman." California Highway 120: at Grave of the Unknown Prospector. Field Notes: 2-Aug-08 in Pumice Valley. 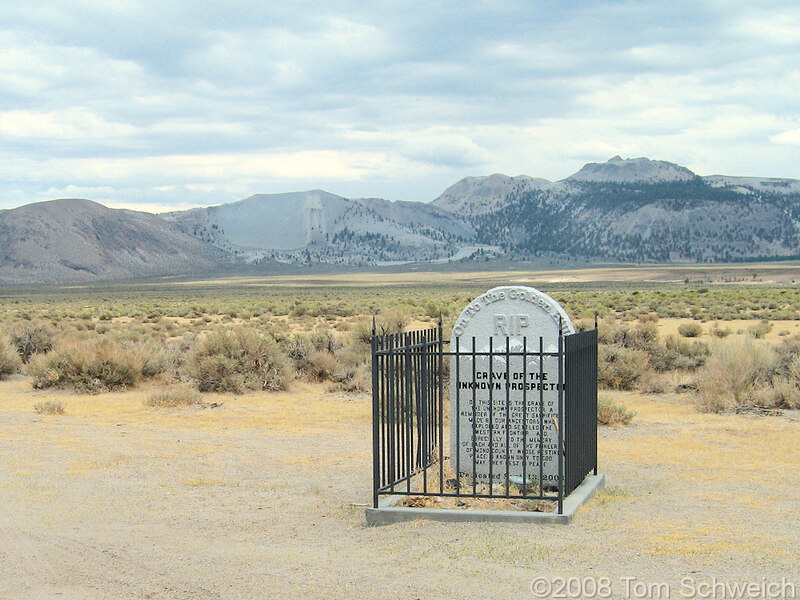 U. S. Highway 395: at Grave of the Unknown Prospector. Other photos about Geography - Mono Lake Basin, California or Pumice Valley.